The first thing you hear from the doctor after some hearing test results is that you need a hearing aid. The next sentence usually contains numbers like five to seven thousand dollars. Insurance rarely covers all of this. That statement is almost immediately followed by a referral to a hearing aid company that the doctor swears they don’t have any affiliation with, with a quick somewhat believable disclaimer that the hearing aid is going to cost you. Approximately 28 million Americans could benefit from hearing aids, but only one in three have used them, with cost being a driving factor. Discover that there is life to better hearing outside your doctor’s referrals with this complete review of Liberty hearing aids. When you are looking to purchase hearing aids, there is so much competition on the market that it can be very easy to get swamped by myths. Not all hearing aids are created equal, and not all companies are putting the priorities of the consumer or the patient of hearing loss first. It’s important to do your research or get help with that research and discover the shocking truths about hearing aids before you buy yours. Research the best hearing aids and read hearing aid reviews before making a purchase. 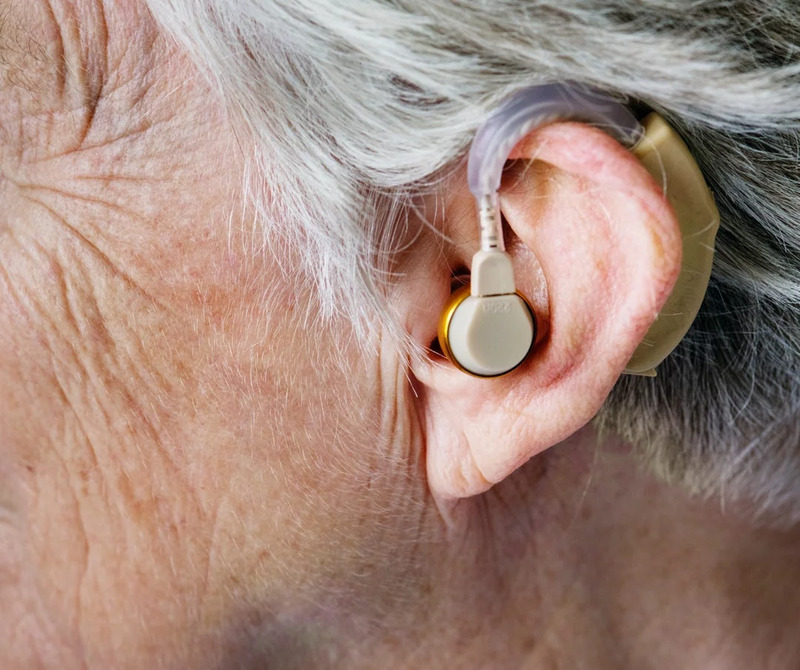 The American Speech Language Hearing Association has identified many myths about hearing aids that you need to know before you make your purchase. One of those myths is that hearing aids restore your hearing to normal. Any company that tells you this is simply not stating the accurate facts. Hearing aids can help you hear the television or movies better, but you won’t have the perfect hearing with a hearing aid. They do definitely improve your quality of life though. Another common myth is that hearing aids won’t help you if you have a mild hearing loss. This is simply not the case. Fifteen percent of American adults have hearing loss, and approximately two out of every 1,000 American children suffer hearing loss. All of these patients would benefit from hearing aids. Every case is different. If your quality of life is suffering from hearing loss, you need hearing aids. The biggest of all myths about hearing aids is that they need to be expensive. One founder of a hearing aid company founded her company because hearing aids for both of her grandparents would be quoted at over 14 thousand dollars. She decided to change that by forming a company that created an affordable solution. What Are Liberty Hearing Aids? One of the most common things noted in Liberty Hearing aid reviews is their price model. The Liberty Hearing Aid company provides hearing aids through Sam’s Club. The hearing aids themselves are made in Bristol, Pennsylvania, and the Facebook page for Liberty Hearing Aids has a 4.7 out of 5-star rating at the time of press. One of the Liberty Hearing Aid reviews on the Liberty Facebook page notes a user that has worn hearing aids for over five decades, and he recommends Liberty Hearing aids. The manufacturers of Liberty Hearing Aids are Sam’s Club, a warehouse electronics store that provides a variety of hearing aids. You don’t need to go through your doctor to get this type of hearing aid. Sam’s Club offers both online and in-store purchase of the Liberty Hearing Aids, and you can even get a free hearing test in store. There are two types of these hearing aids at a much more affordable cost than other forms of hearing aids. Where many companies offer hearing aids in the thousands of dollars ranges, Liberty Hearing Aids do not. At Sam’s Club, you will find two forms of Liberty hearing aids that offer much lower price ranges. Even the most expensive Liberty Hearing Aid will cost less than two thousand dollars. Liberty Hearing Aids come in the brands known as Engage 32 and Engage 64. They are worn outside the ear or known as Behind The Ear (BTE) hearing aids. The numbers 32 and 64 refer to the number of channels that the hearing aid has. For mild hearing loss, the 32 is better for those that have a quieter life and just need improved hearing around the home and in moderate daily activity. People with active lifestyles that need hearing assistance in a wider variety of environments may find the Engage 64 more useful. The Liberty Hearing Aids come with one-year repair warranties, and warranties for additional years can be purchased with an extra cost. Like any electronics purchase, damage warranties can also be purchased at extra costs that are not mandatory if you prefer to forego a damage warranty. Reviews for Liberty Hearing Aids can be found on their Facebook page, or elsewhere online. But you always want to find out from actual users whether or not the hearing aids will work before you make the purchase. Many hearing aid reviews for Liberty note the difference in the quality of life. One user notes that they are better able to hear the television at home more, and wish they had gotten them sooner. She could start to hear conversations again! This is the magic of Liberty Hearing Aids, the magic is in the name. Imagine the freedom of quality of life when you take control of your hearing and experience the liberty of hearing conversations again. Anyone that suffers from hearing loss can tell you that not being able to hear life “as normal” dramatically decreases the quality of life. Imagine not being able to hear your grandchild tell you that they love you, or missing the excited exclamations when they open a Christmas present. This is why millions of Americans need hearing aids. They won’t restore your hearing to 100 percent, but they will help you to enjoy those priceless little moments of life more. Most of the hearing aid market goes to the over 65 crowd, but over 15 percent of Americans 18 and above have hearing loss. Don’t let doctors with expensive referrals dictate your hearing and quality of life. Try Liberty Hearing Aids that have improved the quality of life with users that have been wearing hearing aids for decades. Take control of your hearing by learning how to find a good hearing aid at Sam’s Club and begin enjoying those little life’s moments today.